While planning to bring about a change in your kitchenware during the festive season, consider taking your old wine glasses to the recycle bin rather than discarding them for good. 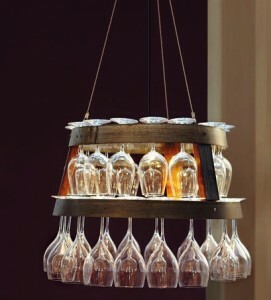 These elegant glasses can be designed into a variety of stunning crafts to intensify the décor of your house. 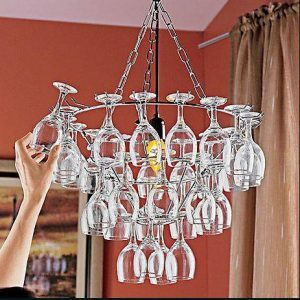 If you are lamenting on being unable to buy one of those magnificent chandeliers from the store because of the exorbitant price tag attached to it, end your worries as you can make a gorgeous one yourself with the help of wine glasses. 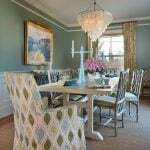 Stop by to take a look at the instructions and ideas that may aid you in sharpening your creative skills further. 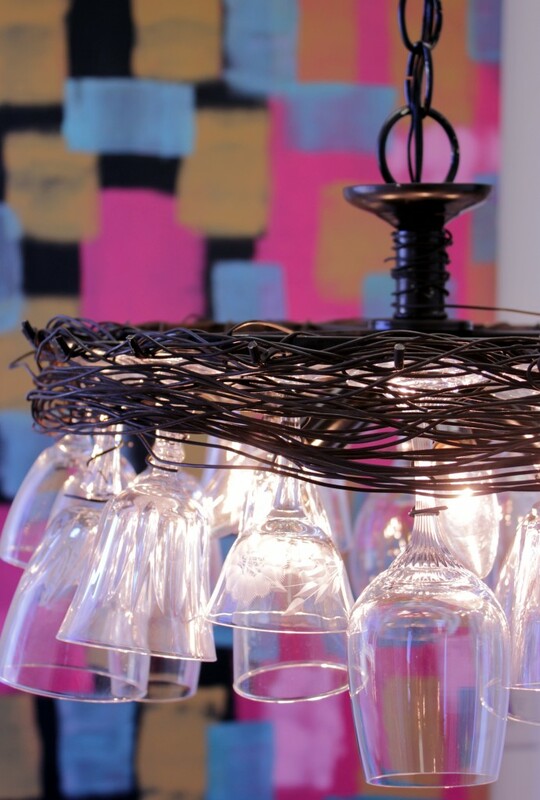 This chandelier encircled by a grapevine wreath would look lovely when adorning the walls of your living room. 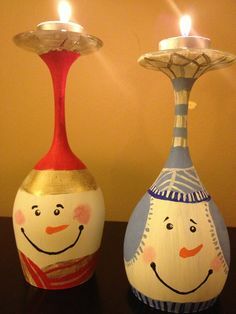 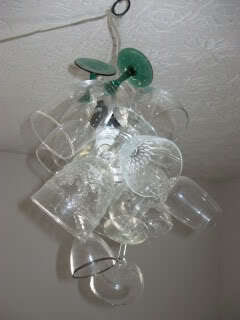 If you intend to embellish the wine glasses further, spray paint them and add intricate decorations. 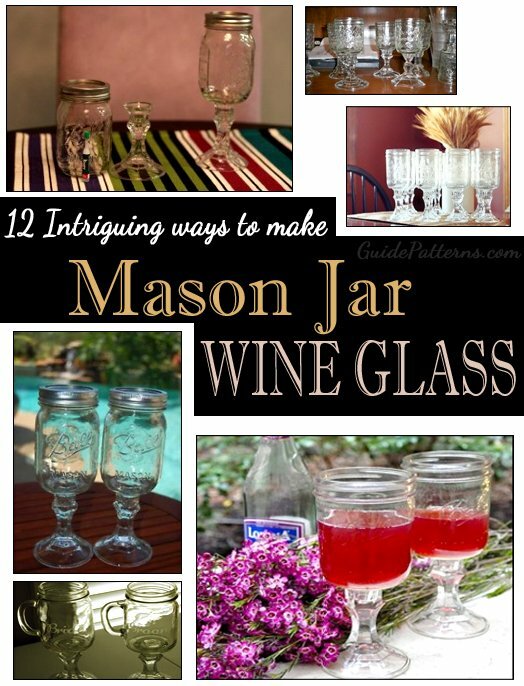 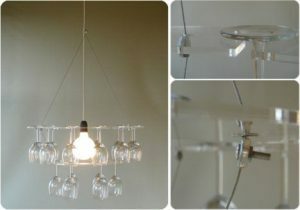 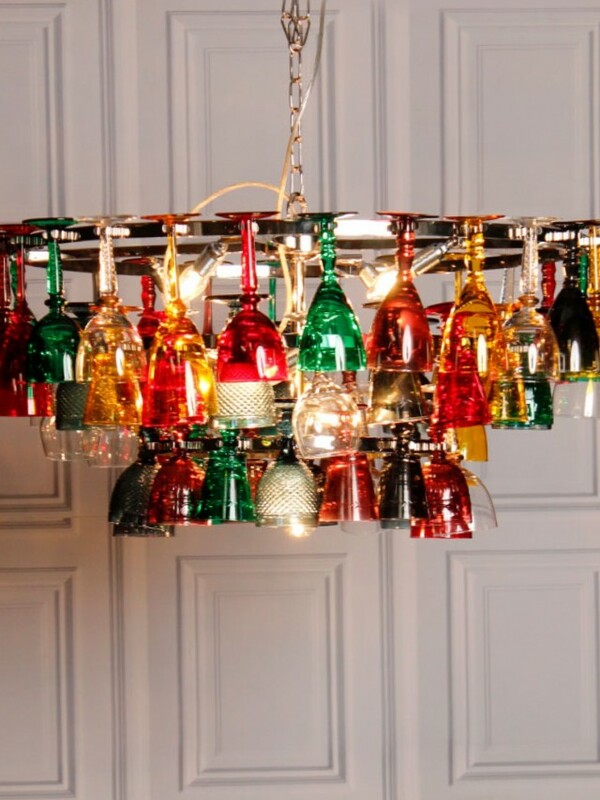 If you desire to give it a chandelier-like appearance, then add some more wine glasses to it. 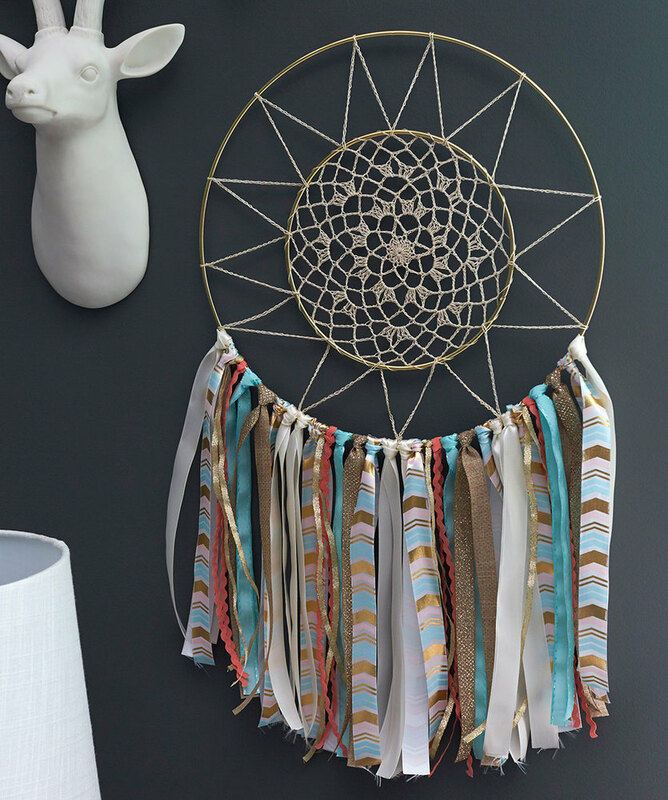 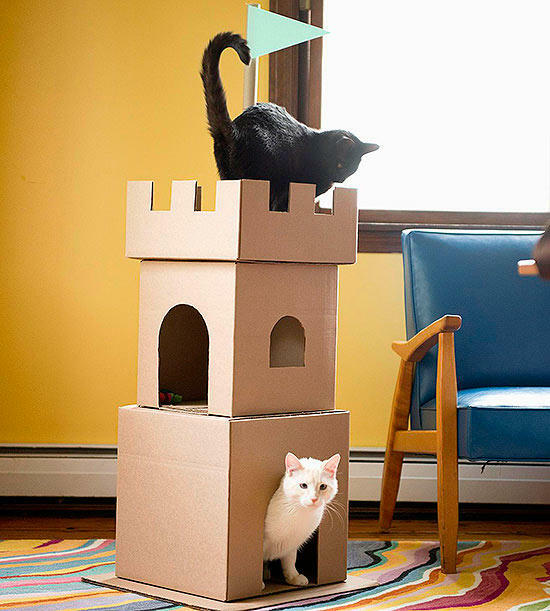 You can also hang it on a rack or frame. 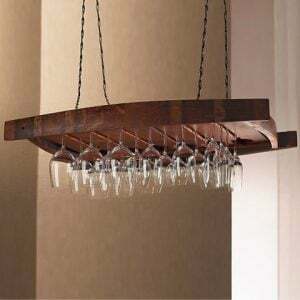 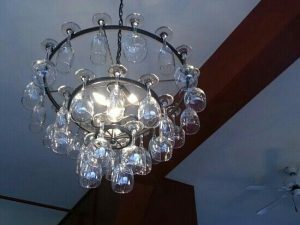 The rack used for supporting the wine glasses gives the chandelier a neat look. 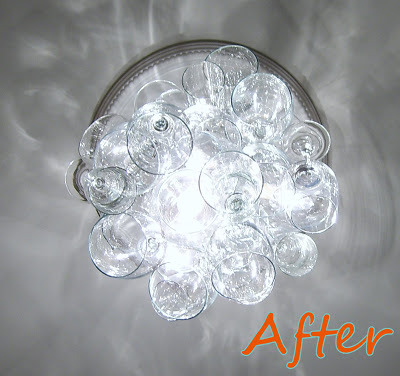 If you do not have colored glasses in your stock, then spray paint them to bring in a bright and vibrant look. 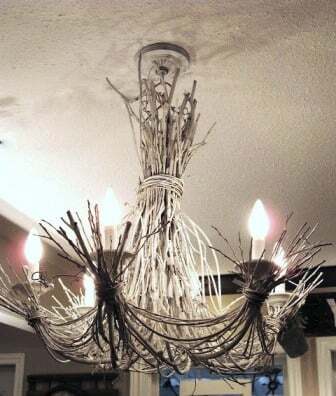 This two-tiered chandelier would compliment your stylish living room brilliantly. 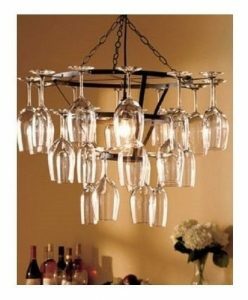 Though simple in arrangement the elegant appearance of the wine glasses would make it look marvelous when hung on top of the dining table……….a perfect way to celebrate your candle light dinner with your beloved. 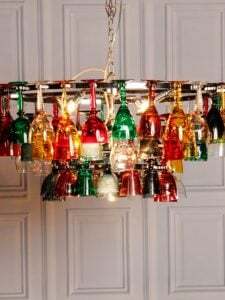 If you desire to try something different, then combine wine bottles, glasses as well as mason jars to make this chandelier. People would admire your creativity in awe. 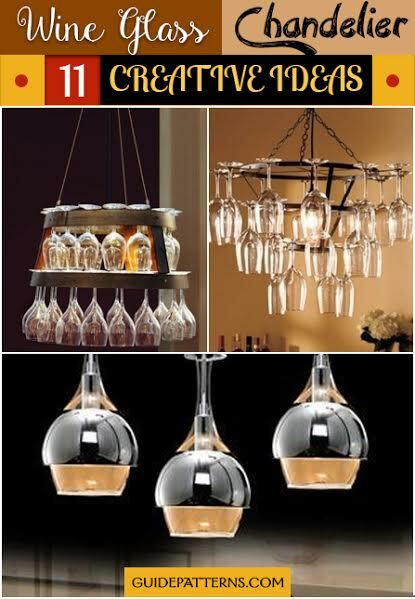 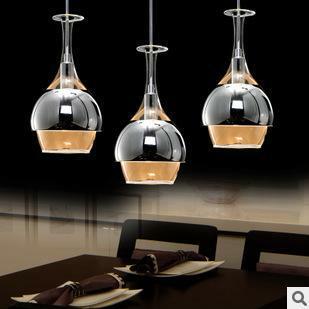 Hope you have a fulfilling experience in decorating your home with these fabulous chandeliers. 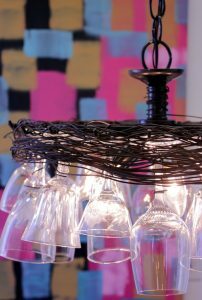 Do not exhaust all your wine glasses for this purpose, rather keep some of them aside to create other enticing crafts such as candles, candle stand, show pieces, and centerpieces.